Rarely do Korean drama audiences tire of the rich and their usually messy lives, and "SKY Castle" is about to dive into one said mess of sadly very realistic proportions. The drama, which tackles the obsession of high society with achieving higher tiers of social prestige through its children's academic prowess, introduces its messy adult leads. First off we have Han Seo-jin (Yum Jung-ah), the envy of SKY Castle's top 0.1% due to her academically successful daughters and her supportive husband. That is until someone new arrives. Lee Soo-im (Lee Tae-ran) is a fresh addition to the group, and the odd one out. 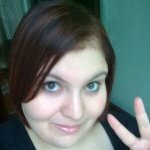 She is a writer of children's literature, and a considerate, affectionate person. Her smart son will make her popular with her new micro-society, shaking the throne of current queen Seo-jin. With them are No Seung-hye (Yoon Se-ah), a full time housewife who has also completed her PhD, and Jin Jin-hee (Oh Na-ra), who is a passionate and lovable shopaholic. Despite her glamorous appearance, Seung-hye lives in an oppressive home, which makes her a ticking bomb of emotions, while Jin-hee is the cheerful and bouncy one, creating a fun contrast. These two share Seo-jin's perfect facade hiding their true desires. The series has also released stills and information on their husbands. Seo-jin's Kang Joon-sang (Jung Joon-ho) is a professor of orthopedics with a strong family backing, and a prideful and conceited personality . Hwang Ji-yeong (Choi Won-young) is Soo-im's husband and a professor of neurosurgery. 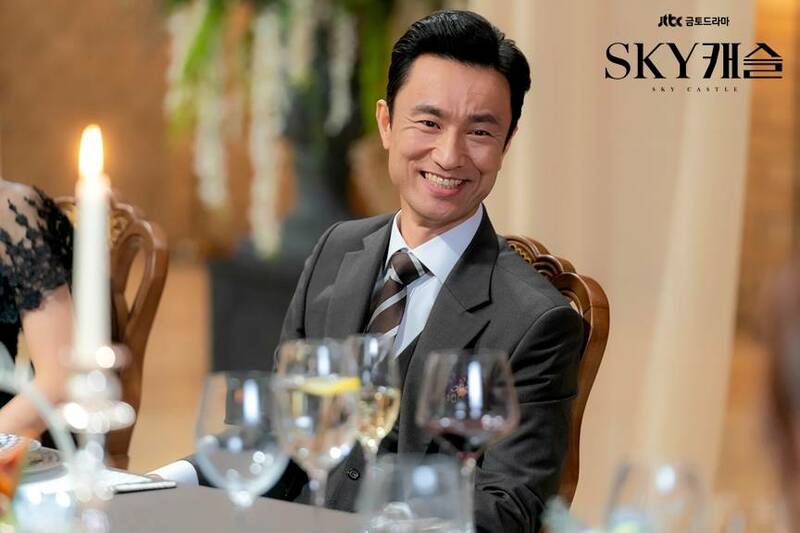 While he values life over money, living at SKY Castle starts to fill him with desire for the position of the hospital director. The two husbands will have a confrontation alongside that of their wives. Seung-hye's husband, Cha Min-hyeok (Kim Byung-chul), is a law school professor obsessed with academic success. His deep-seated complex surrounding his birth feeds his desire to create a 'Kennedy of Korea' family through his two sons. 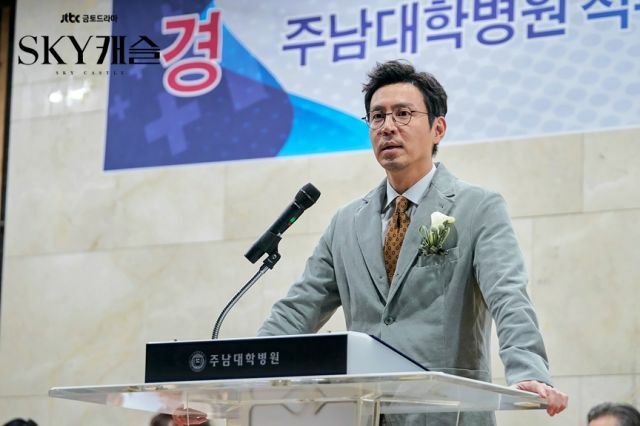 On the other hand, Jin-hee's husband, Woo Yang-woo (Jo Jae-yoon), is a down to earth professor of orthopedics who just works to put food on the table. I'm already team Jin-hee and Yang-woo, and I might just meet them when "SKY Castle" premieres on the 23rd. "[Orion's Daily Ramblings] "SKY Castle" Introduces Ambitious Wives and Husbands"
[Video] Trailer Released for the Upcoming Korean Movie "Hello Dayoung"